Inventory is the lifeblood of many small businesses. Even if you’ve cultivated loyal customers, they won’t love being told they have to wait months for their next purchase because you sold out. You can use financing to manage seasonal dips in business and to replenish inventory. Inventory financing is a loan or line of credit that a small-business owner uses to buy inventory. Term loans typically have high borrowing amounts and longer repayment periods, making them a good choice for a one-time large purchase. Lines of credit, however, offers a bit more flexibility: You have a set amount of money you can tap into as needed, and you pay back only what you’ve borrowed. We’ve rounded up the best inventory loans based on financing type. If you want fast cash: Kabbage offers a working-capital line of credit of up to $250,000. The company requires a minimum credit score of 560 to qualify. Borrowing costs, though, are higher than other options. If you have less than a year in business: BlueVine offers a six-month line of credit of up to $250,000. It requires just six months in business to qualify. Unlike Kabbage, BlueVine requires a personal credit score starting at 600. For more-established businesses, BlueVine also offers a 12-month option, which requires a credit score starting at 620 and at least two years in business. If you want the lowest rates: StreetShares offers a line of credit with the lowest APR range among these options. Financing maxes out at 20% of your revenue for companies that are making at least $75,000 in annual revenue. If you have small recurring purchases: You may want to consider a business credit card. Though your borrowing amount will likely be smaller than a line of credit, you will be able to earn valuable rewards, like cash back. You can qualify based on your personal credit even if you don’t have an established business. If you have strong credit and want competitive rates: Online lender Credibility Capital requires a personal credit score starting at 680 to qualify, and you’ll need at least two years in business. APRs at Credibility Capital start at 10%. If you want quick approval and ease of application: OnDeck offers a quick process — as little as 10 minutes. 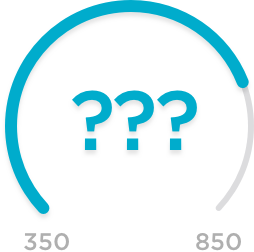 OnDeck’s minimum personal credit score requirement of 500 is lower than the one at Credibility Capital, but most OnDeck borrowers have scores of 660 or higher. Want to size up other small-business loans? For a look beyond inventory loans, check out NerdWallet’s small-business loans tool. We gauged lender trustworthiness, market scope and user experience, among other factors, and arranged the lenders by categories that include your revenue and how long you’ve been in business.